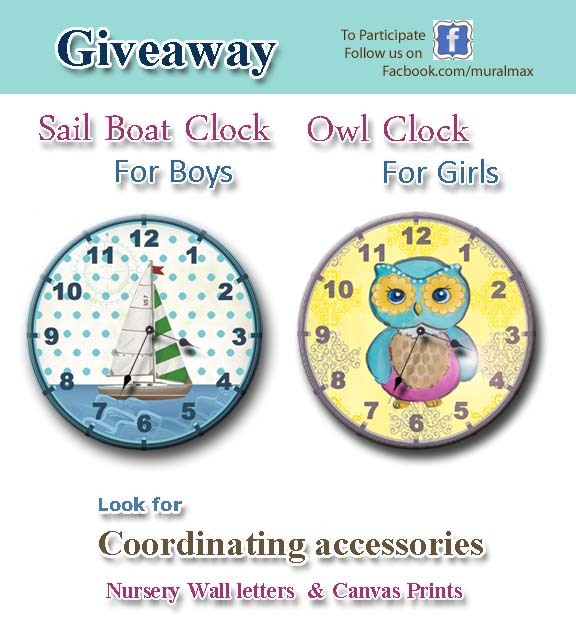 Enter for a chance to win these unique clocks for any Boys or Girls Bedroom. 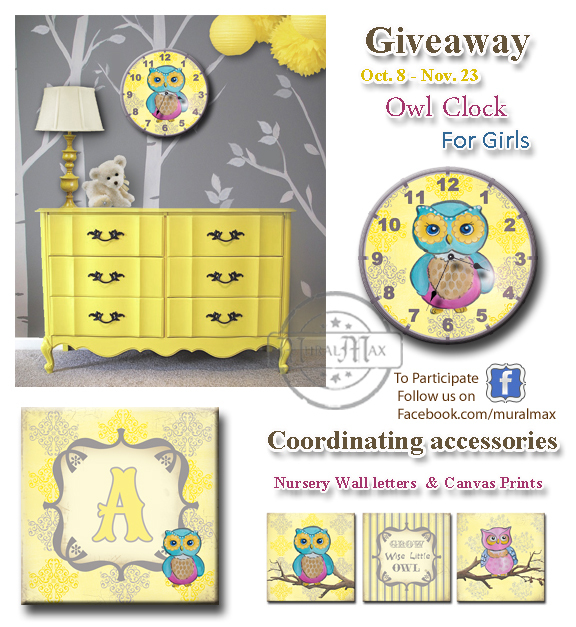 We are giving away two clocks that are designed to hang on your child's bedroom wall. 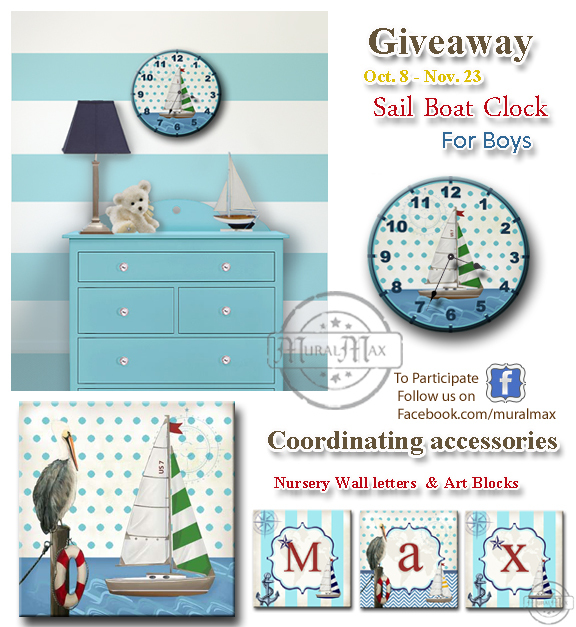 Whether you have a Boy or Girl enter the Giveaway for these beautiful clocks. Product Material: This product is made of 1/4" thick moisture resistant material, and comes ready to hang on any wall. These custom clocks are 11.4 inches in diameter size. 1) For girls: This Hootie the Owl Clock Collection Image, is Heat transferred to the material, which has a High Gloss finish. This print is from one of my original mixed media paintings. This adorable owl family is the perfect addition to any little girls room, or nursery ! 2) For Boys: This Nautical Collection Image, is Heat transferred to the material, which has a High Gloss finish. This print is from one of my original mixed media paintings, This Clock has all the nautical elements, and is a great addition to any little boys room or nursery ! Please check our online store for any additional accessories for the Nautical Collection. Batteries not Included. Only persons residing in the United States who are at least 21 years of age can enter. I like this type of giveaways.